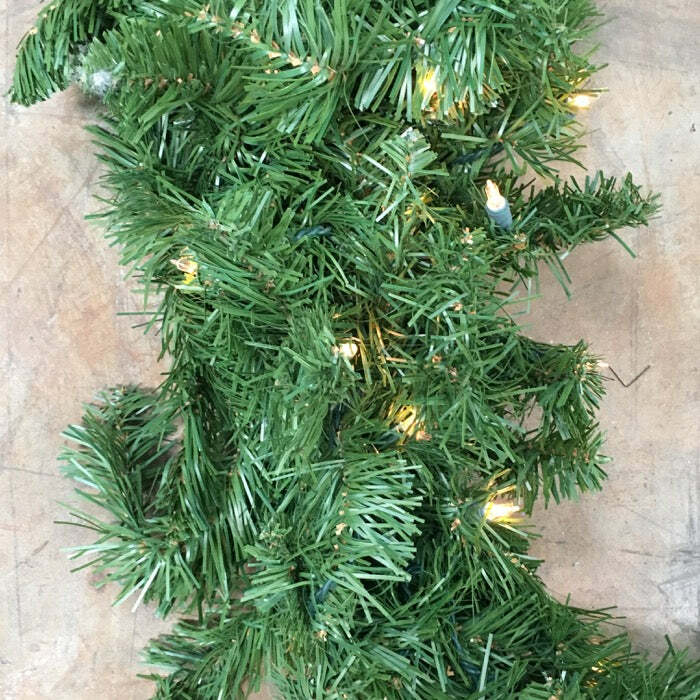 This Deluxe Oregon fir garland is the perfect compliment to your Christmas and holiday decor. Just picture this prelim garland hanging on your fireplace mantle. With its 240 tips of dark greenery and its warm white lights, it will be the showpiece that you like most this holiday season. Q: how many light bulbs per 9' garland? 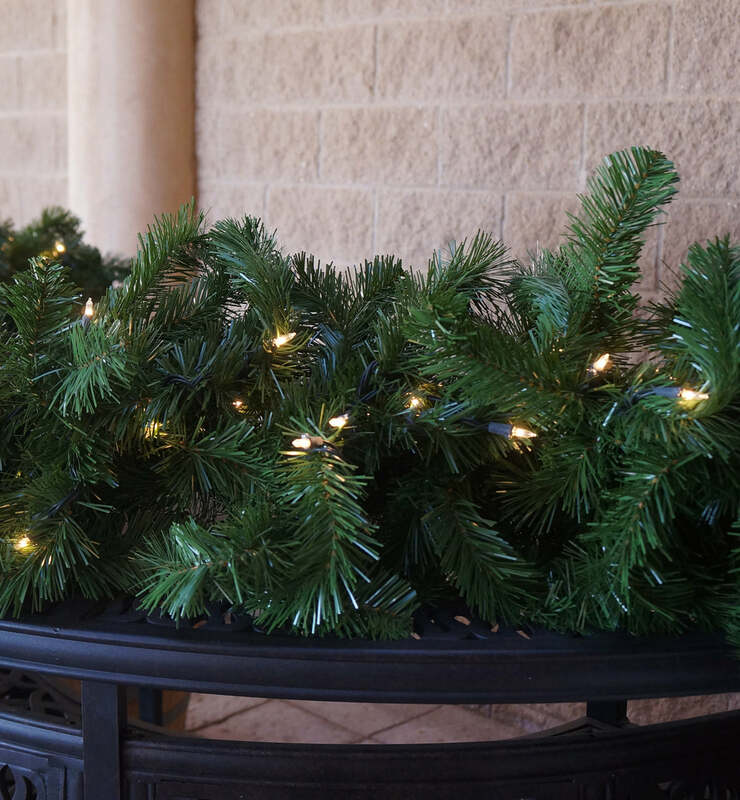 A: This lit garland is accented with 100 bulbs. The LEDs are warm white and are wide angle in shape - the lenses are similar in shape to a wooden pencil eraser and just slightly smaller.